1 Draw a diagram that summarises the stages through which a company's web site may evolve. 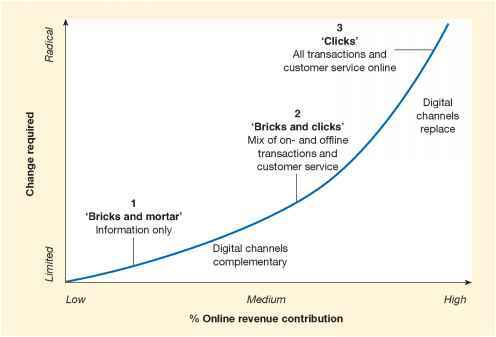 2 What is meant by the 'Internet contribution', and what is its relevance to strategy? 3 What is the role of monitoring in the strategic planning process? 4 Summarise the main tangible and intangible business benefits of the Internet to a company. 5 What is the purpose of an Internet marketing audit? What should it involve? 6 What does a company need in order to be able to state clearly in the mission statement its strategic position relative to the Internet? 7 What are the market and product positioning opportunities offered by the Internet? 8 What are the distribution channel options for a manufacturing company?